The hotel has a wonderful cove and beach, there are good restaurants in walking distance, breakfast was great and the staff was friendly. 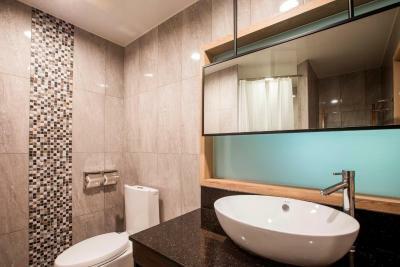 Good view and big room with big bathroom. Friendly staff in reception with good help. Small but beautiful beach near by. 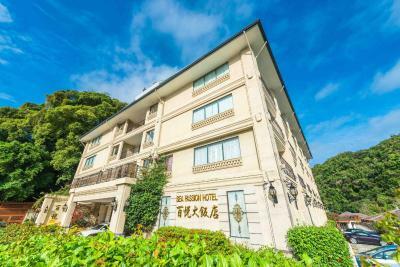 Sea Passion Hotel This rating is a reflection of how the property compares to the industry standard when it comes to price, facilities and services available. It's based on a self-evaluation by the property. Use this rating to help choose your stay! Offering a private beach, an outdoor pool and a restaurant, Sea Passion Hotel is ideally located for scuba diving. 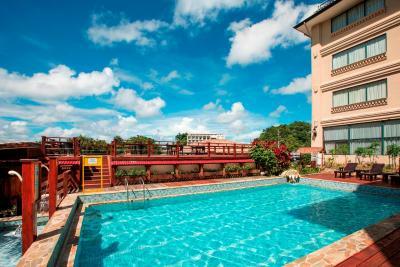 The property is just 5 minutes' drive from Koror. All accommodations offers free in-room WiFi. Some accommodations offers a balcony or patio. Divers can explore the wreck of a World War II Japanese fighter jet, located in the bay next to the hotel. The onsite restaurant offers meals throughout the day, including a variety of breakfast options, including Asian cuisine. All accommodations includes tea/coffee making facilities, including a range of English and Chinese teas. 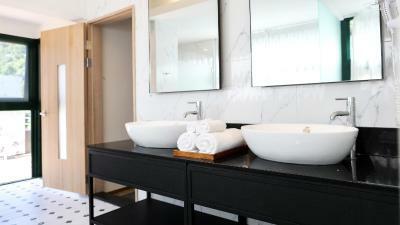 Your private bathroom offers a shower, free toiletries and slippers. 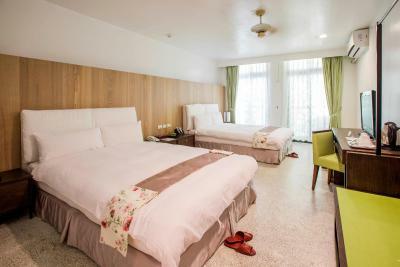 Each room has a TV offering Chinese and several other cable channels. Bed linen and towels are also provided. 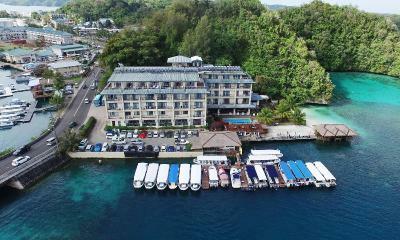 Palau Sea Passion Hotel is 30 minutes' drive from Koror Airport. When would you like to stay at Sea Passion Hotel? Enjoy a cup of coffee or tea and the wondrous beauty of the ocean from your room. Regardless of day or night, this room will offer a view which shows the beauty of Palau. This spacious room faces the hill on Malakal island. It also includes 2 queen-sized bed. This spacious room features a balcony with ocean views. It also includes 2 queen-sized beds. This spacious suite includes sliding doors with access to a private patio, furnished with sun chairs. There is also a separate lounge area and a large bathroom. 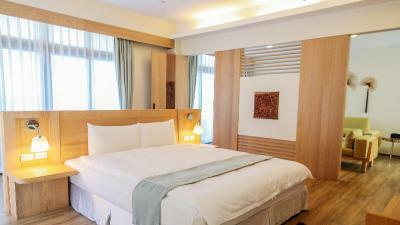 The king-sized bed or 2 single-sized beds have plush bed linen. This spacious room includes access to a private patio. 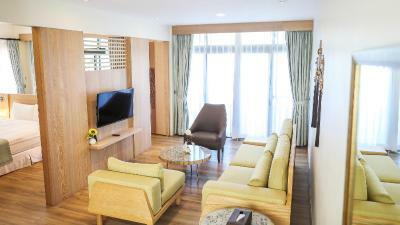 This air-conditioned room features ocean views, a TV and tea/coffee making facilities. Like our Ocean View Executive Suite rooms, this spacious room has romance written all over its setting. Privacy and comfort is ensured for a memorable and wonderful experience. Access your private space for a drink , you will be surrounded by comfort no matter where you lounge. The Fun Palau information kiosk at Sea Passion Hotel can help arrange a variety of activities and tours. 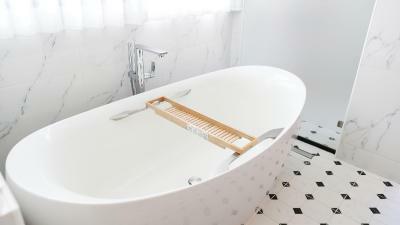 House Rules Sea Passion Hotel takes special requests – add in the next step! Sea Passion Hotel accepts these cards and reserves the right to temporarily hold an amount prior to arrival. Please note that due to lack of rainfall in the area, this property is subject to strict water-use restrictions. Guests will only have access to water for very limited periods throughout the week. For more information please contact the property using the contact details found on your booking confirmation. Please note that Sea Passion Hotel can only be reached from Koror Airport via hire car, taxi or an airport transfer service. Taxi availability is limited. Guests are advised to contact the property in advance with their flight details to arrange airport transfers. These are charged USD 15 per person, one way, or USD 25 per person for return trip. For further information please contact the property in advance, using the contact details found on the booking confirmation. Please note that 'breakfast included' rates provide breakfast for 2 guests only. Breakfast for additional guests will incur extra charges. There is no bar, the one they show on the beach is just a covered dock with seating. They were doing construction, the sign stated for our comfort they wouldn't start until 1100 am but every morning at 800 am sharp they were at it. The hotel isn't nice enough for the price, I was expecting more. 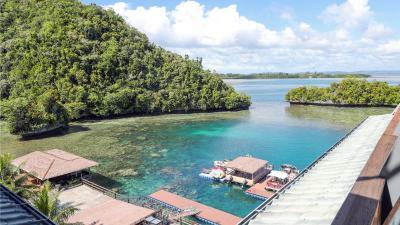 Parking is tight as in most places here in Palau Caters primarily to Asian guests. There really isn't any western food available at hotel but there is other choices available close by. You don't come to palau to watch television, but, limited English speaking channels as all is satellite fro zTaiwan and China. Would be nice to have at least CNN international and Star network. Palau "basically " shuts down" aboutt 10pm. No milk with coffee in breakfast. Some smell in room when you get in. Property carters primarily to large all inclusive Chinese groups, who have particular tastes that I do not necessarily share (this can be a plus or a minus). Breakfast buffet has gotten a lot worst since the last time that I was here in 2012. 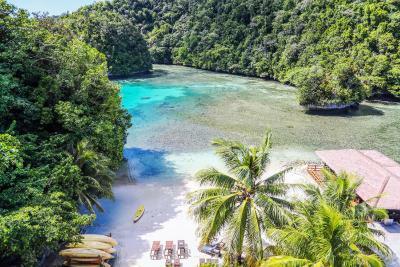 Great location for diving and exploring outer islands of Palau. Has it's own mini beach and a beautiful lagoon for snorkeling.